Discussion in 'Collecting and Card Price Discussion' started by Skitty, Aug 14, 2008. I got a folder of old cards in a trade a few days ago. 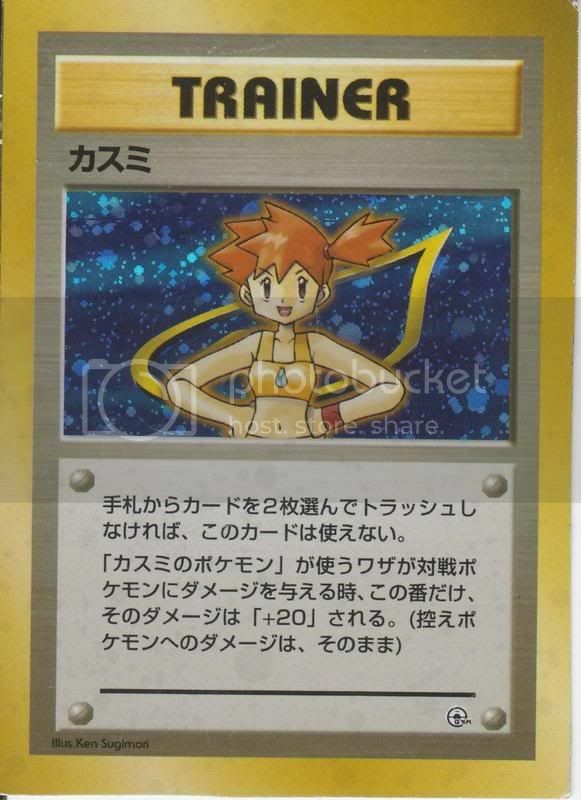 One of the cards in it was this Misty card. As you can see, the corners aren't cut. I'm not 100% sure that it's real but all of the other cards I got were. Anyone have any idea on it?